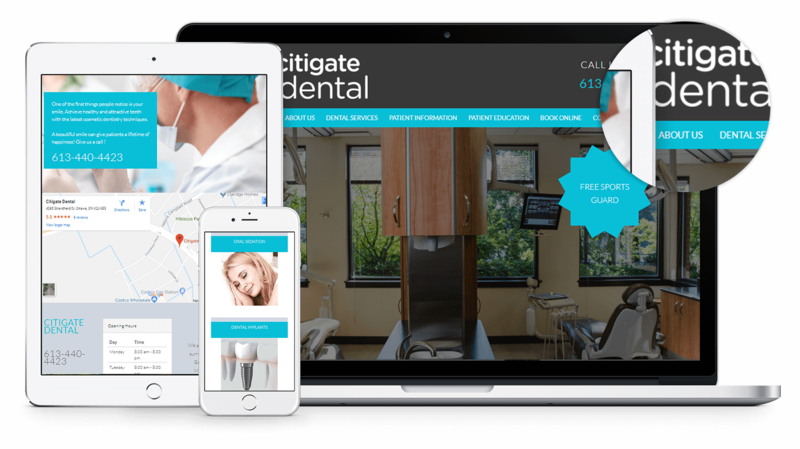 We are pleased to announce the brand new website for Citigate Dental! Citigate Dental believes in taking an integrated approach to your oral health which focuses on prevention and healing rather than just disease and treatment. Their goal is to maintain your healthy smile for a lifetime. Patient education is a critical component of what they do. They explain your oral health to you in detail, using photographs or videos as needed, and answer any questions you may have. The website is built on a very user-friendly platform with beautiful notes of blue which makes the website easy to navigate and have an attractive layout throughout. Patients can browse all services they offer which include crown and bridges, fillings, tooth whitening, veneers and so on. Patients can also conveniently book their appointments online. Patients can access the new website over their smartphones, tablets and computers.